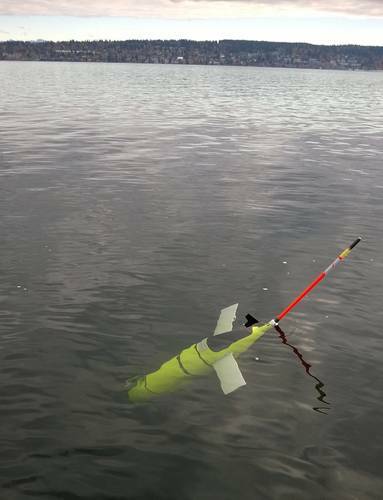 Kongsberg Underwater Technology, Inc. announced it has completed negotiations with CoMotion, the University of Washington’s collaborative innovation hub, to obtain the sole rights to produce, market and continue development of two new underwater glider systems. 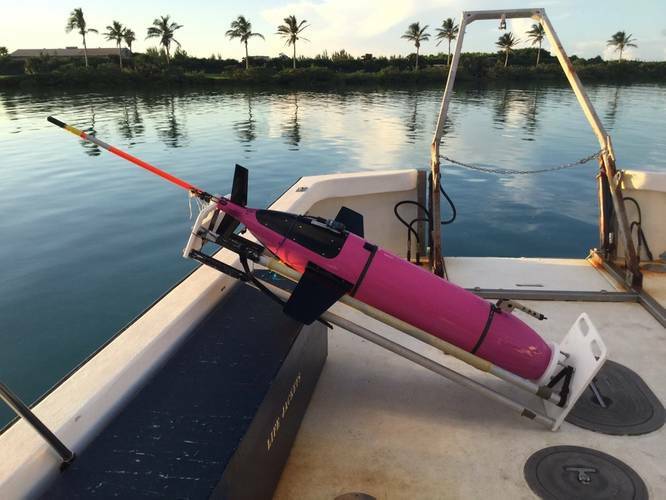 Ocean gliders are a specialized type of autonomous underwater vehicle (AUV). Rather than using a propeller to move through the water, they use fixed wings and changes in buoyancy to achieve both vertical and forward motion. 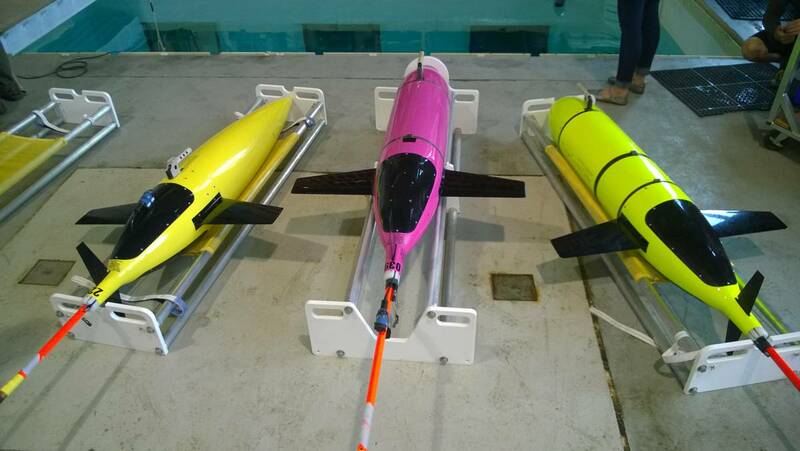 The vehicles move through the water in a saw-tooth trajectory and surface periodically to communicate data on water properties, such as temperature, salinity and oxygen concentration, back to users via satellite telemetry. 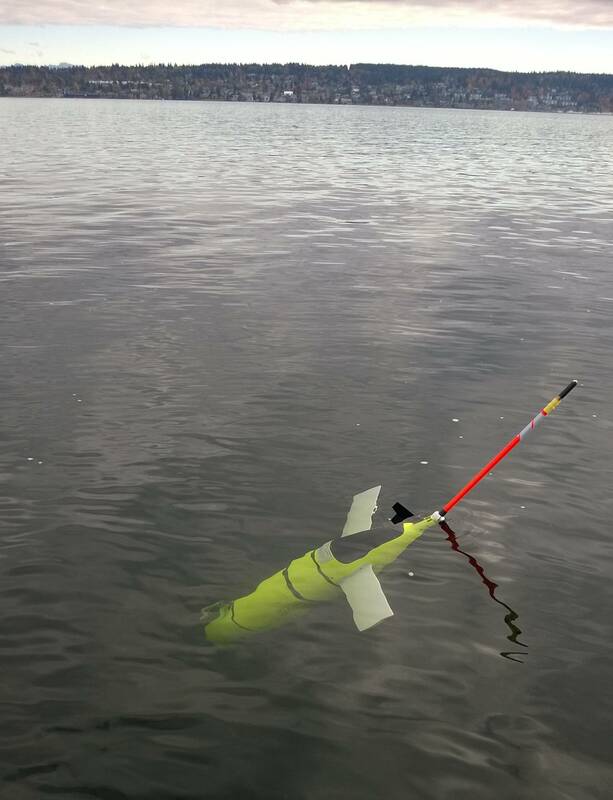 This form of propulsion is very energy efficient, and allows mission periods of several months and distances of thousands of kilometers, rather than just a few days and tens of kilometers typical of propeller-driven AUVs. Both new glider systems are based in part on the original Seaglider design. The first vehicle, Deepglider, is designed for operation to a maximum of 6,000 meters. This capability is unique in the world of underwater gliders, and will allow the system to completely profile over 97 percent of the world’s oceans. The second vehicle, Oculus, is specifically designed for high performance, shallow water operation. Oculus has an amazing amount of variable buoyancy – 3500 cc – which will allow it to operate from fresh water to sea water without the need to alter its static ballast. It is also capable of achieving horizontal speeds up to 2 knots. 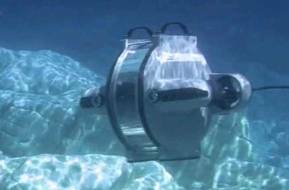 These capabilities will enable operations in areas of extreme density variation and high currents. Development of these glider systems was supported by federal grants from the National Science Foundation, National Oceanic and Atmospheric Administration, and the Department of Navy, Office of Naval Research.